** FINANCE AVAILABLE **Lovely, tidy example of a Fabia in the mid Ambition spec.Spec on this includes: Multi-function Steering Wheel, Bluetooth, Touchscreen Radio, Speed Limiter, Daytime Running Lights, Alloy Wheels, Multiple Airbags, Height Adjustable Driver's Seat plus much more.This car will come fully serviced by our award winning workshop, fully valeted & with the balance of the manufacturer's warranty & roadside assistance. 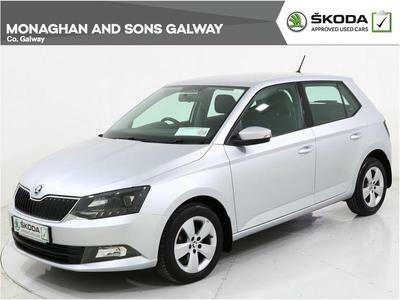 Call Monaghans on 091-751919 for more information on this Fabia. Trade in price €16495.